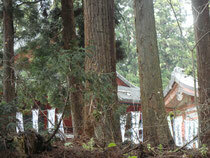 We have many HAKURYU shrines here in Japan. This is one of them at mt.IWAKI. It is located at the islet at the spring that made from holy water(We call it `GOSHINSUI`). 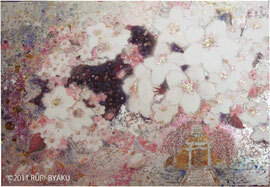 Drawing with holy water of IWAKIYAMA shrine,Crystal,Red coral and Silver leaf.